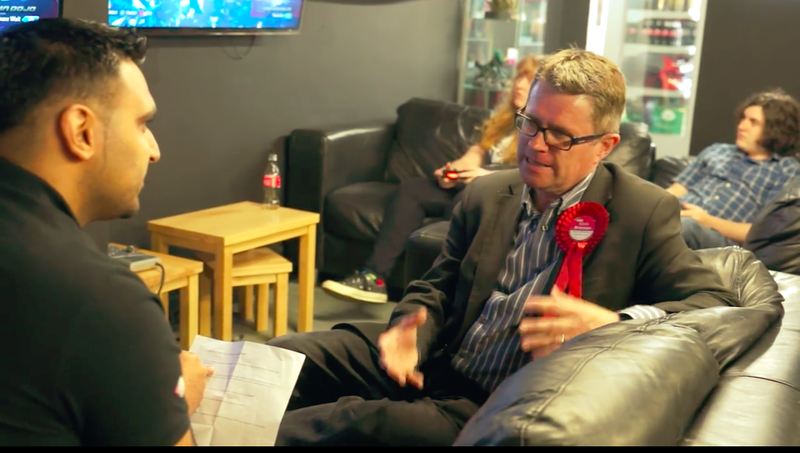 Ahead of the UK’s general election today, Welsh politician Kevin Brennan visited local gaming store Talk & Surf for a quick chat about esports and competitive games. Not the kind of last-minute campaigning you’d expect. Brennan, who has been Cardiff West’s member of Parliament since 2001 and is up for reelection today, delivered his talking points as clearly as he could over Tekken 7 blaring in the background of this video. “I’d like to see a big esports event in Cardiff,” Brennan said. “It’s a great way to bring people together in a friendly and competitive environment. Get them mingling and making new friends.” Behind him, the two Tekken 7 players proved his point by staying focused on the game at hand, which they did leave their homes to play together. “I think anything that brings a community together is a good thing and is positive for mental health,” Brennan said. “This is insane,” one of the players in the background whispered excitedly, presumably in response to Tekken 7’s sick mixups. According to Evan Dyke, who identified himself on Facebook as the Tekken player pictured at the far right, Brennan’s visit came as a surprise: “We were playing Tekken and then they brought the camera in lol.” Cardiff West’s prospective MP was not asked for his thoughts on Tekken 7.